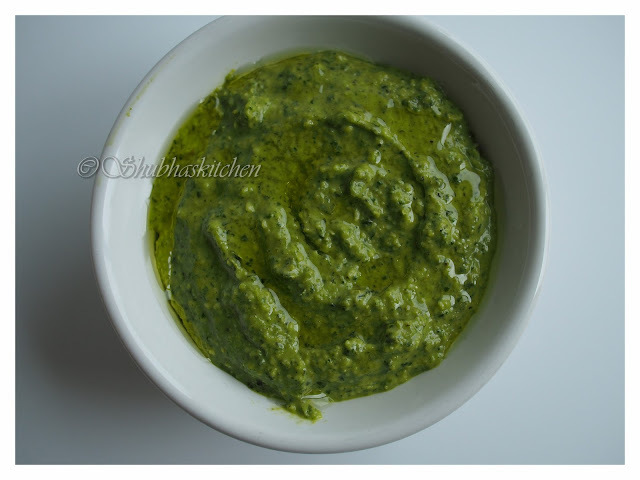 Pesto is an Italian sauce that is widely used in pastas, pizzas or even as a spread in breads. 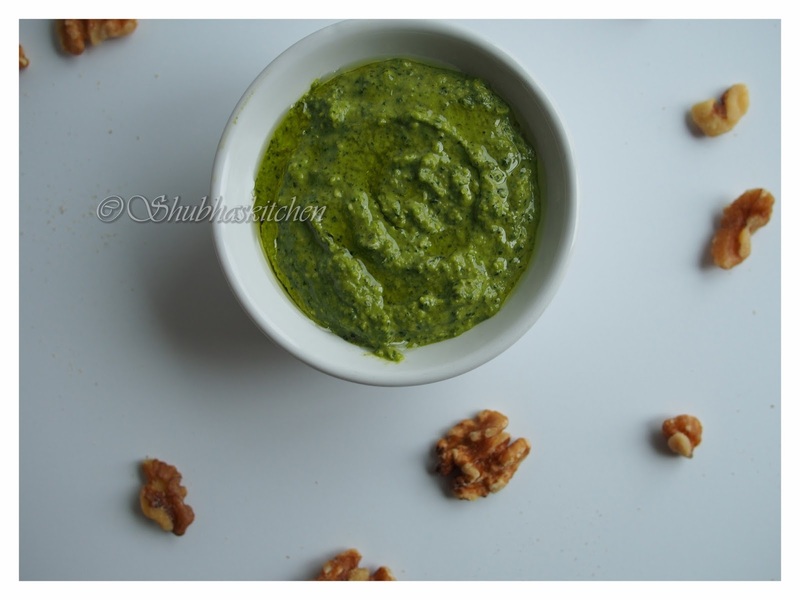 Traditionally, pesto consists of crushed garlic, basil , pine nuts blended in olive oil with some Parmesan cheese. The name PESTO is the contracted past participle of the Genoese word pestâ (Italian: pestare), which means to pound, to crush, in reference to the original method of preparation, with marble mortar and wooden pestle. 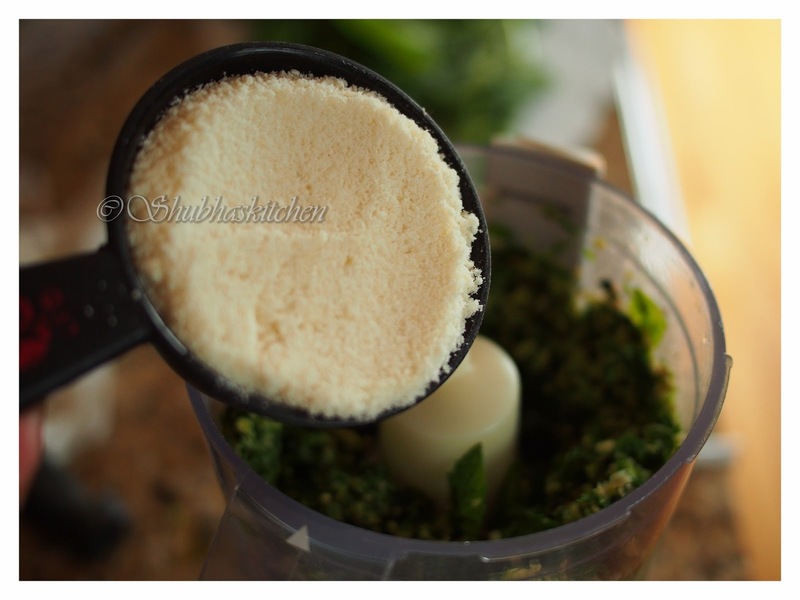 The ingredients in a traditionally made pesto are ground with a circular motion of the pestle in the mortar. This same Latin root through Old French also gave rise to the English word pestle. 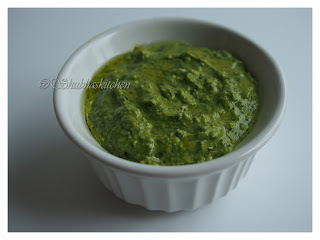 I had first tasted pesto in a near by Italian restaurant and loved it so much that I wanted to make it . I have made a few variations to this classic Pesto. 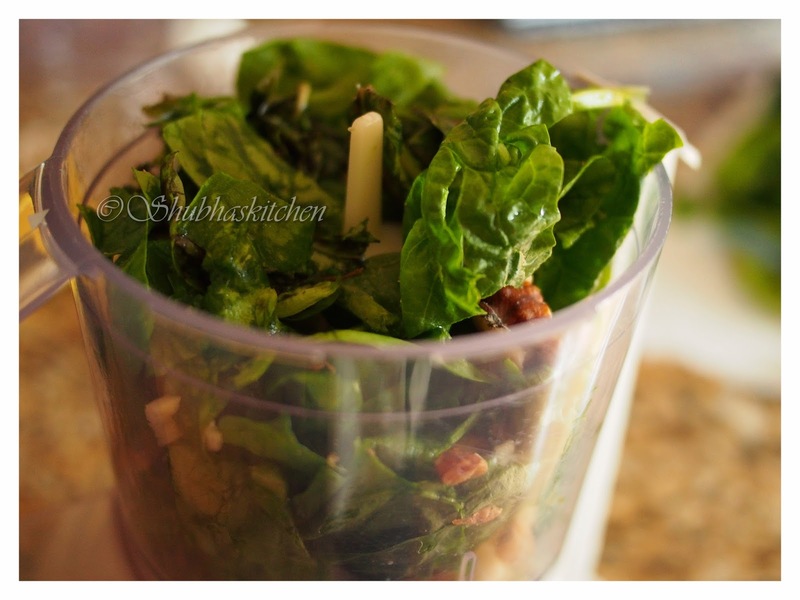 Instead of using just Basil, I have used a combination of basil and spinach. 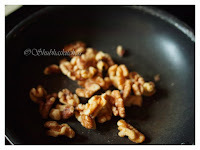 Instead of pine nuts , I have used roasted walnuts. The result was so good . 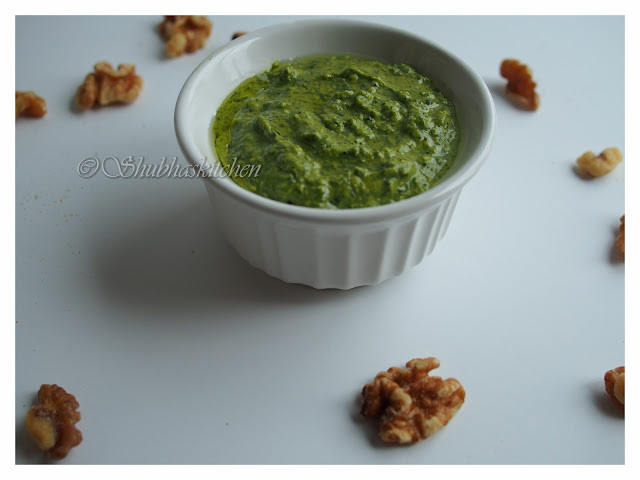 So here is how you can prepare Pesto at home..
Clean and wash the basil and spinach. Leave it in the colander for sometime until all the water from the leaves drains off. Now, take the basil, spinach, walnuts and the garlic in the food processor and pulse it several times. Scrape down the sides of the container in between. Now add the powdered / grated cheese. 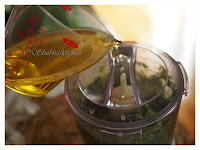 While the processor is still running, add the olive oil in a steady stream so that it gets blended well with the pesto. Scrape down the sides of the container in between. Last add salt and pepper to taste. Remove the prepared pesto in a jar. Add some oil on top. The presence of a layer of oil on top of the pesto will prevent the pesto from turning dark. Enjoy pesto with pasta, pizza or as a spread for bread. Oh-so-yum. 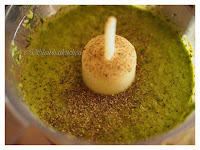 Come over to blogger and had to see this tempting pesto. Hungry now!! Pesto looks so delish and vibrant, Shubha!